MX8 is a desktop VoIP gateway with 4 or 8 FXS and FXO ports and one Ethernet port. MX8 is equipped with powerful processing resource to deliver stable and robust performance. 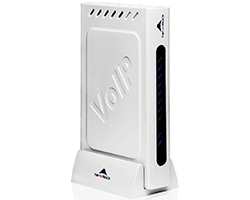 It is ideal for small office VOIP deployment.